Microsoft announced the availability for Surface Pro 6 and SurfaceLaptop 2 will commence from January 28, 2019 in India via e-commerce platforms (Amazon and Flipkart) and select retail stores of Croma, Reliance, Vijay Sales, and other retailers. The devices will be available for commercial/enterprise customers through authorised resellers. While the refined exterior may look familiar, Surface Pro 6 features redesigned architecture under its hood that delivers astonishing power. The quad-core, 8th Generation Intel® Core™ processor device is an instrument of versatility, portability and power. It is1.5 times faster than its predecessor, while offering the same all-day battery life. In a new world of work, users can create their own workspace regardless of location with Surface Pro 6. The devicefeatures a 165-degree kickstand, and Surface Pro weighs just 770 grams, making it a desirable productivity device that can be used at any location. 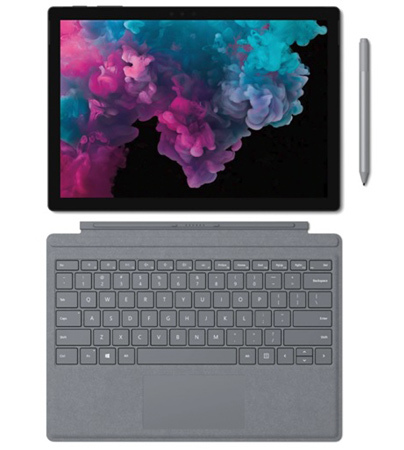 Add in the luxurious Signature Type Cover and Surface Mouse, and Surface Pro 6 immediately transforms from a tablet to a laptop. With up to 14.5 hours of battery life, Surface Laptop 2 is meticulously crafted with its premium design, PixelSense™ Touch Display, and best in class keyboard and trackpad.Surface Laptop 2 is more than a workhorse – it is a style statement. And for the discerning, Surface Laptop 2 quiets the sounds you do not want to hear, while amplifying the sounds you do want to hear. Itbarely makes a sound when a user closes the lid or types on the Alcantara keyboard. However, with the built-in OmniSonic speakers discreetly hidden below the keyboard, sounds are brought to life. Commercial customers looking to deploy Surface Pro 6 and Surface Laptop 2for their organizations will benefit from enterprise-grade manageability and security benefits from Windows 10 Pro. In addition, the new tools and innovations that are part of the Windows 10 October 2018 updates will enable usersto make the most of their time at work, at home, and everywhere in between, cutting across productivity, collaboration and communication. The new line-up will be generally available from January 28, 2019.